Two closely related Illinois construction companies and a manager are facing dozens of willful and serious safety and health violations after allegedly exposing workers to asbestos during a renovation project at a former elementary school. The Occupational Safety and Health Administration issued citations against manager Joseph Kehrer, Kehrer Brothers Construction and a Kehrer-affliated company, D7 Roofing, of Albers, according to a release issued Tuesday (Aug. 11). OSHA has imposed fines totalling nearly $2 million against two contractors in Illinois. 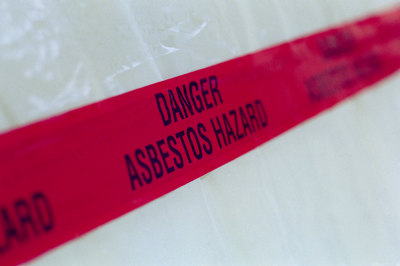 OSHA says the companies exposed workers to asbestos hazards during a school renovation project. Kehrer and Kehrer Brothers were cited for 40 egregious, willful and serious violations and fined $1,792,000. D7 Roofing was fined $147,000 for two willful and one serious violation. An investigation into a renovation project at the former Okawville school building in February found at least eight workers exposed to asbestos—an extremely hazardous material that can lead to asbestosis, a potentially fatal disease, as well as mesothelioma and lung cancer, according to the agency. OSHA said the workers were exposed to asbestos while removing insulation, floor tiles and other materials without proper protections. Many of the workers came to the U.S. to work for Kehrer under the provisions of the H-2B visa program that allows companies to hire foreign workers temporarily. Asbestos is an extremely hazardous material that can lead to mesothelioma and lung cancer, according to the agency. 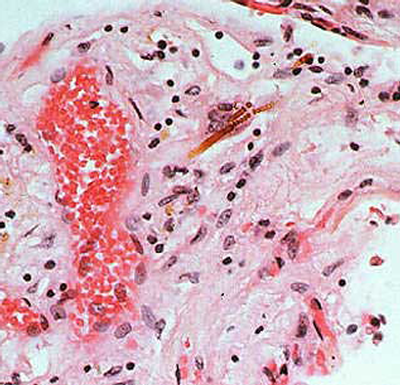 The Centers for Disease Control image above shows fibers lodged in the lungs. The investigation also found the Kehrer management threatened some workers with termination if they spoke with OSHA authorities, OSHA alleged. 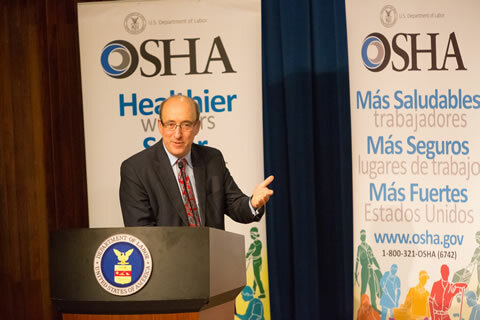 “Kehrer Brothers Construction brought non-English speaking workers to the U.S. and knowingly exposed them to asbestos,” said Dr. David Michaels, assistant secretary of labor for occupational safety and health. “Kehrer also threatened to fire his employees if they spoke with our investigators. This is outrageous, illegal behavior. “We at OSHA will do everything in our power to ensure this employer stops endangering his employees,” Dr. Michaels added. OSHA cited Kehrer and Kehrer Brothers for dozens of alleged violations, including 16 egregious, nine willful and six serious violations. The agency alleged that Kehrer Brothers failed to warn employees, some of whom spoke only Spanish, of the danger—even though they were aware of the asbestos hazard. The company also allegedly failed to ensure that workers used appropriate work methods and respirators, and to train them about the hazards of working around asbestos. Assistant Secretary of Labor for Occupational Safety and Health called the employer's behavior in this case "outrageous." Asbestos exposure occurs when workers cut and sand asbestos-containing building materials, releasing asbestos fibers that can be inhaled without proper protection. OSHA also cited D7 Roofing for one serious and two willful violations. The two willful violations were for allegedly failing to train the workers or inform them about the presence of asbestos-containing material. The serious violation was for failing to conduct inspections as required by law. Following its investigation, OSHA made referrals to the U.S. Environmental Protection Agency and the U.S. Small Business Administration. It also placed Kehrer Brothers in its Severe Violator Enforcement Program. Kehrer Brothers Construction has a prior history with OSHA and has been inspected 11 times since 2007, according to OSHA. One of the recent cases resulting in violations involved the duty to have fall protection, according to the agency's database. The companies did not return calls seeking comment Wednesday (Aug. 12).